Navratri and kalajadu protection, how to save ourselves from evil effects, Things used to perform kala jadu, Tips to protect family, business etc from Black magic. There are 2 aspects of any powerful days one is positive and 2nd is negative. Navratris are very powerful for every one who want to get powers to get success in life but it is also a fact that powers are also of 2 types one is from the divine positive gods and goddesses and second is from the evil powers. Some people who are of negative mind and want destruction any how entered in performing pooja related to evils, shaitan, black powers, dark powers and get there wishes fulfilled. This is the kala jadu and is very dangerous, it not only harm the target but the devotees of black powers also not live a happy life. It is because we can't accept good from bad powers. So initially they give the devotees every thing but in long run the person who perform kala jadu lost every thing in life. There are many persons who came in touch with me has described there problems after performing black magic. So it is advised to not perform any type of negative process to fulfill wishes. Read about Shardiya navratris importance. Since it is a black magic so only malefic and bad things are used to perform this type of processes so if you are having doubt that any one is doing black magic then try to find the following things in house like as Pins, black cloth, doll, lemon, dirty cloths, menstruation cloth, soil of feet, sindoor, iron nails, meat of different kinds, egg, Rai, ash, bones. organs of different animals etc. Read about Special prayog for navratris. So if you are finding any of these things then it may be possible that someone is doing black magic/kala jadu on you. Some time it is also possible that nothing will be found as the person is performing negative prayers to destroy you from his place. So if you have any doubt of kala jadu then it is necessary to take steps for precaution. In the 9 days of navratri since the time is powerful so negative minded persons perform kala jadu to destroy the enemy and for that different types of totkay is done in chouraha, tiraha, cremation ground, etc. So it is necessary to protect ourselves from these totkay in navratri. Read about Navdurga powers. Keep yourself alert in navratri so as to not get in touch with any type of such things which are done for negative incidents. Also do save yourself from Vashikaran Prayog. How to save our self from Kala Jadu during Navratri? If you think that you have too much enemies, if you think that your enemies are able to perform kala jadu or if you have good business, good rappo in society then you must do something to protect yourself and your family from any type of evil eye effects. Because there is no shortage of jealous people around you if you are getting success regularly and fast. 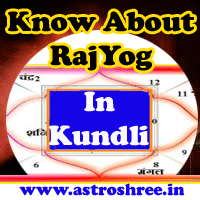 So some tips will definitely help you to protect yourself, your home, your business from any type of kala jadu. Do worship your family goddess and god i.e. kul devi and kul devta and get there blessings. These powers if happy with you then definitely you will be protected from any type of negative powers. Do install a Siddha Baglamukhi yantra or mahakali yantra in business place and home. Wear a siddha mahakali kawach which is also a good one and protect from kala jadu. Do sprinkle holy water on you and your places daily. Do hang a lemon with chillies and a piece of coal above the entrance door of home and business place and change it every week. So don't underestimate the power of kalajadu take precaution and save your self, your family members, your business, office etc from evil powers. Also do show your horoscope and know about the astrology ways to protect your self. You can take proper consultancy from ASTROLOGER.